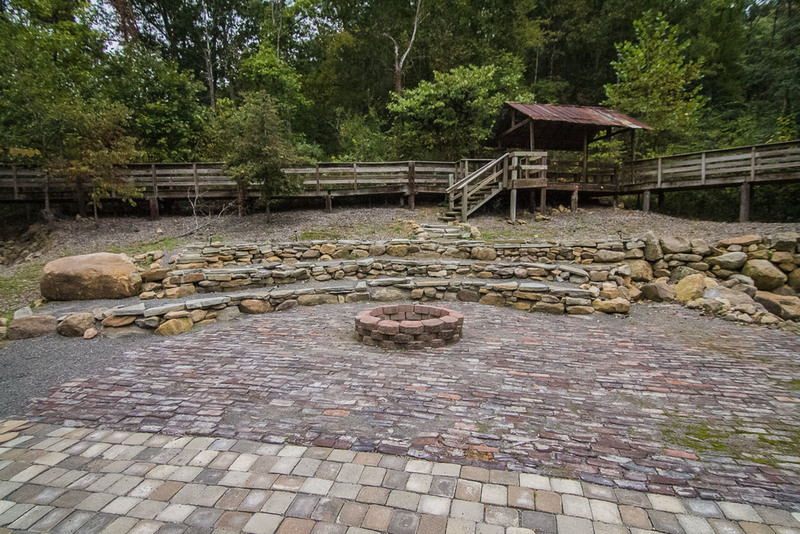 The development of the 70 acres of land Camp Living Stones rests on has been a labor of love from the very start. 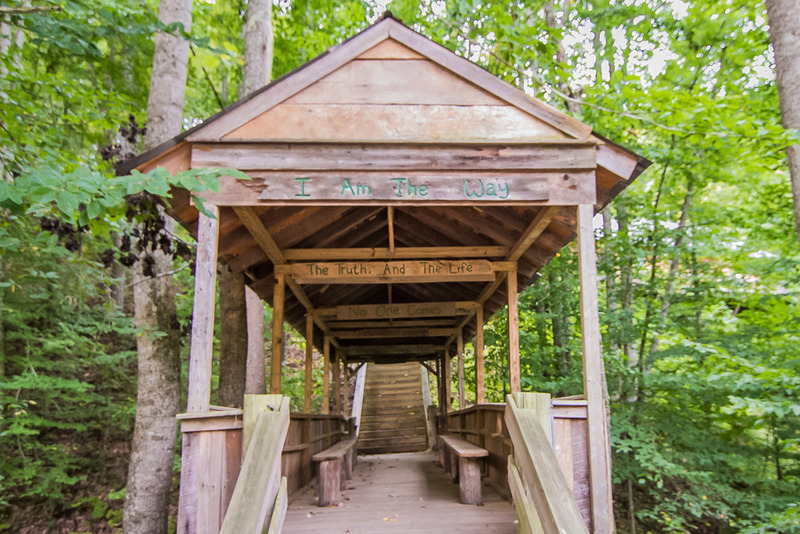 Nearly everything you will find on campus has been built and maintained by campers and staff. 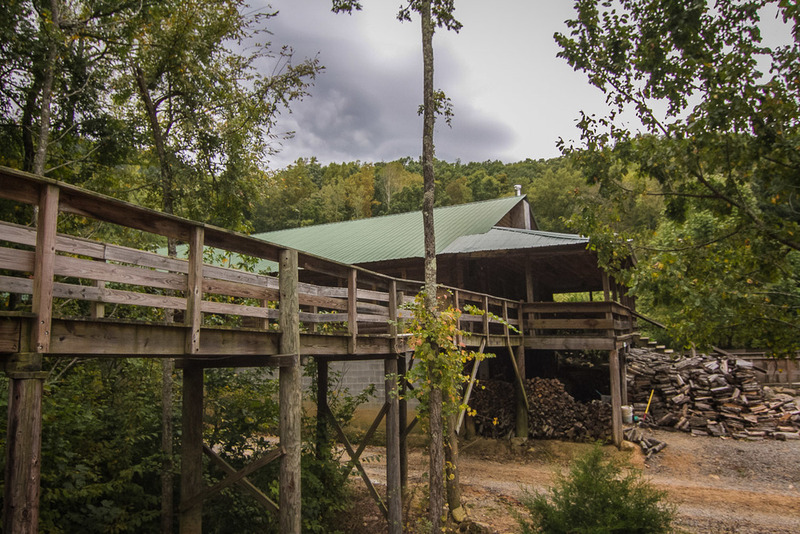 Every wall, floor, trail, tin roof, log, and rock has been nailed or placed by students and adults from all over the south east USA and beyond. 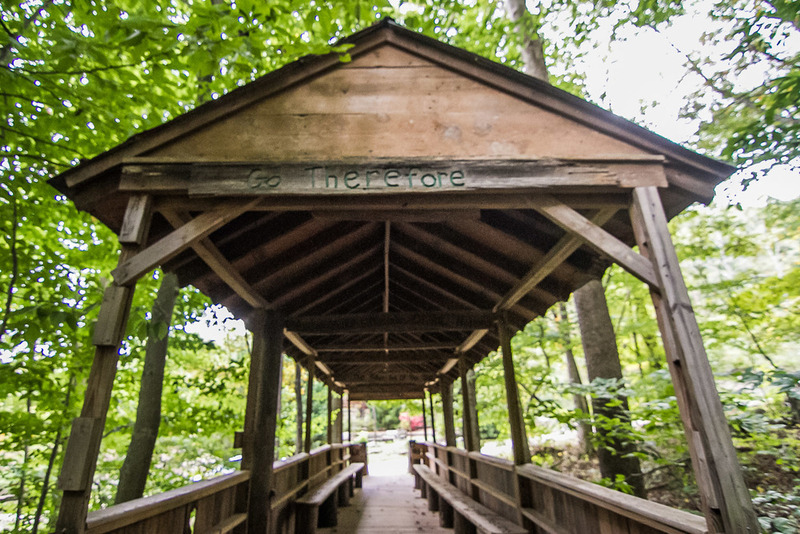 Year after year campers have returned with great excitement to see if what they added to camp the previous year was still standing. 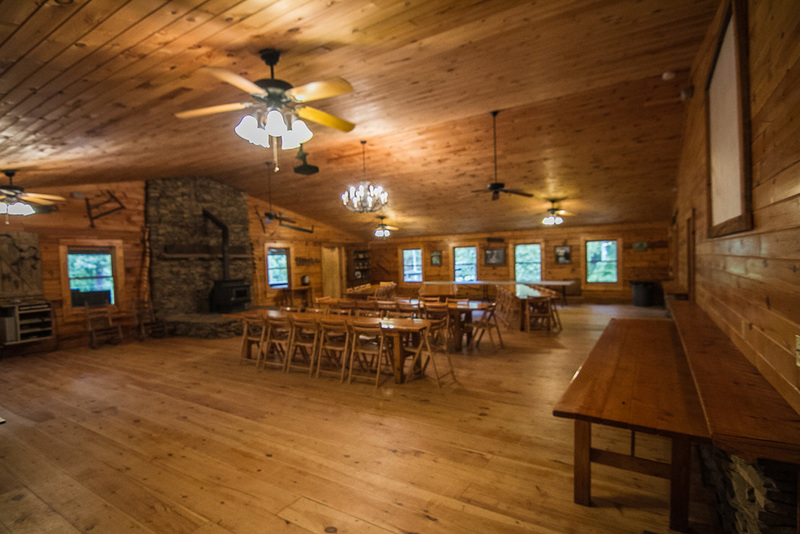 Since 1998, this acreage on the side of Starr Mountain in beautiful East Tennessee has been transformed from uninhabited forest into the charming, log-style camp that can accommodate 150 people for retreats and special events. What an amazing God we serve! 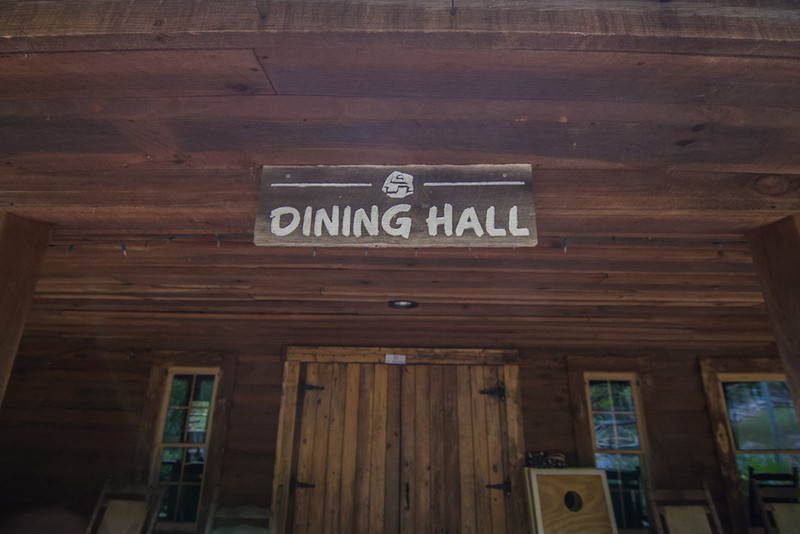 The Dining Hall has been used for many different purposes through the years. Of course its main purpose is to provide the best possible memorable meals a camper could ever experience short of grannies house! CLS has been blessed to have great food since its start in 1998. 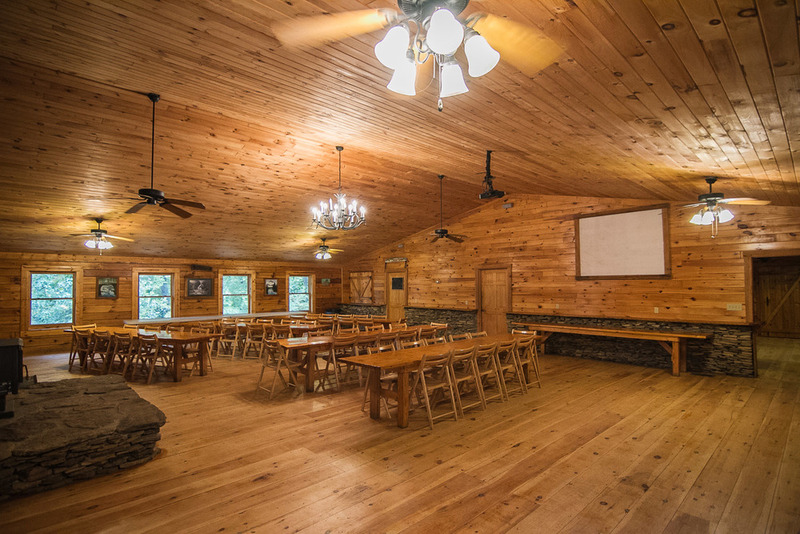 Being equipped with a full size industrial kitchen, surround sound, screen and projector, tables, chairs, and a wood burning stove, the Dining Hall has been used as a place of worship, women’s conferences, quilting weekends, movie nights, birthday parties, business meetings, and many other events. It can seat 122 comfortably inside, but with the outside decking CLS can seat around 150. 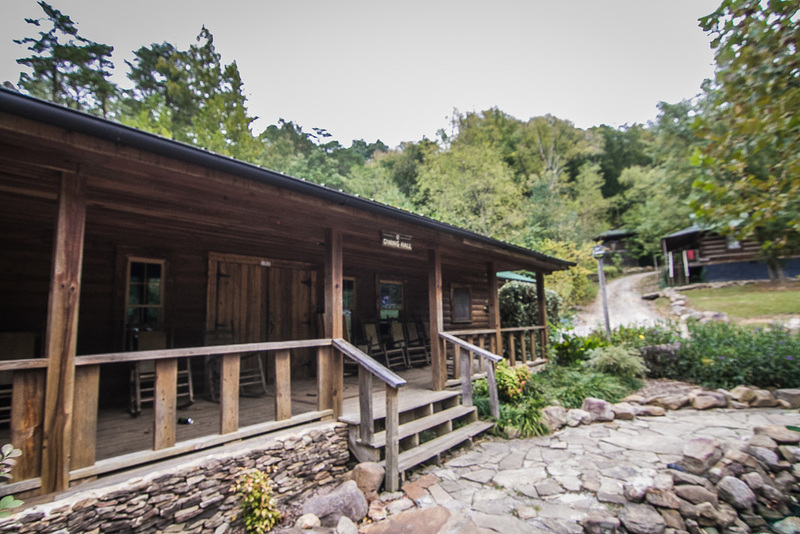 The front porch provides a beautiful view of the front lawn and pond while you relax in one of many rocking chairs. 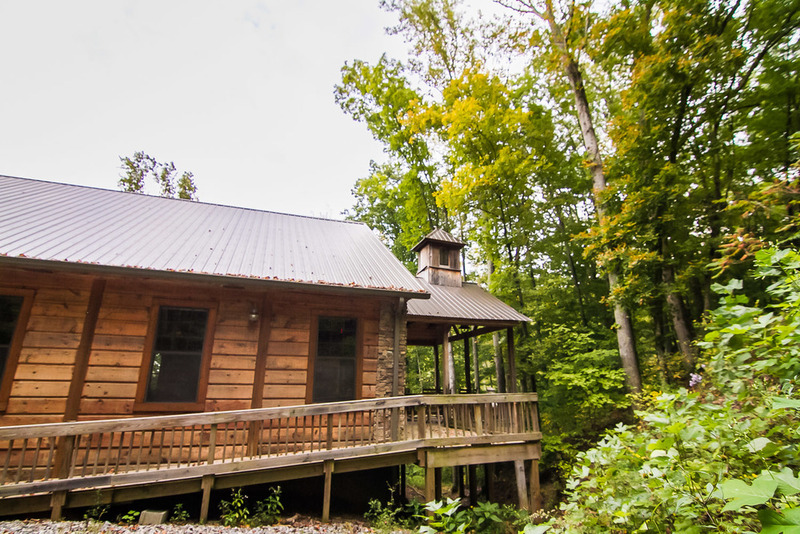 The Chapel is a beautiful log style building which will provide you with the best view CLS. 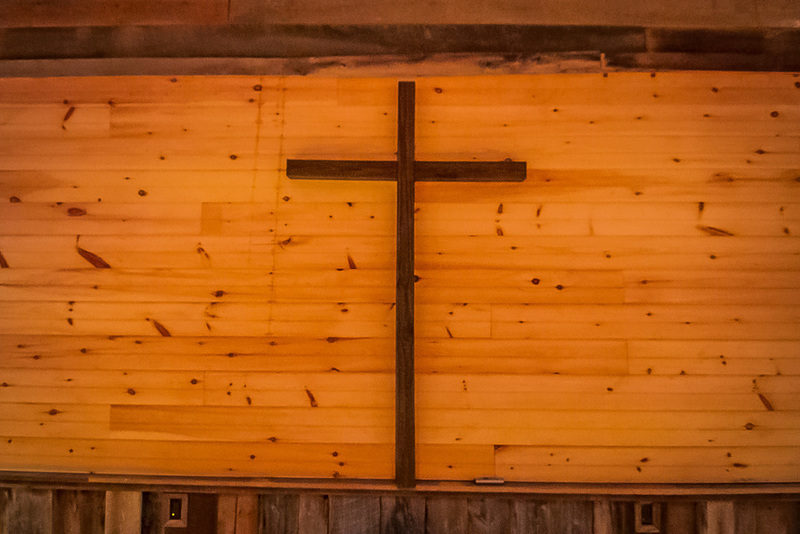 The Chapel is roughly a 60’ x 40’ rectangle building that has allowed CLS to have a building dedicated to providing a great environment for people to have opportunities to worship. It has proven to be a place in which the Spirit of God has moved freely and people have had the chance to respond to the Lord. 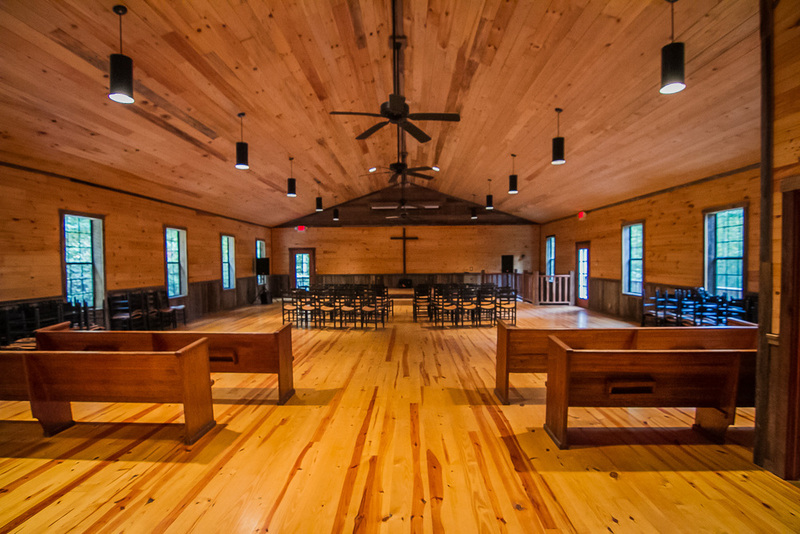 The Chapel is equipped with 110 chairs and 4 pews and can accommodate roughly 150 people. It also houses a sound system with a 16 channel snake, sound board, amps, projector, and screen. When planning your stay at CLS, please check out the Chapel Floor Plan and contact the CLS staff about any plans you may have for this building. 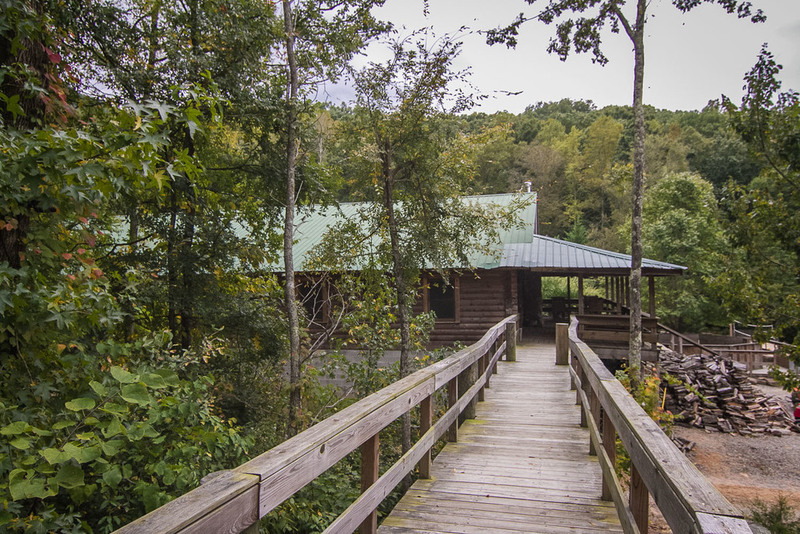 Camp Living Stones has folksy, bunk-style housing in 7 locations throughout camp. Ro Ridge, Sandlewood, & Courtside, each having a 20 bed count. 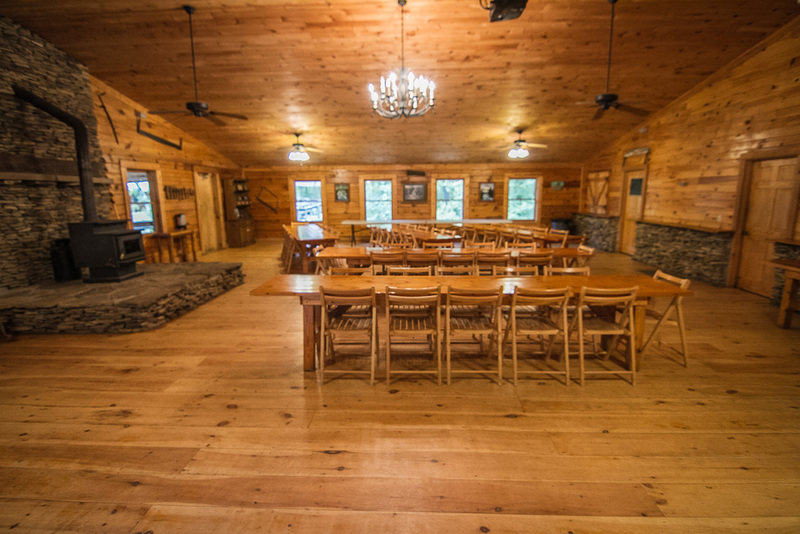 Additionally, Stone Lodge and Down Under both have 24 beds. The Library can accommodate 14. 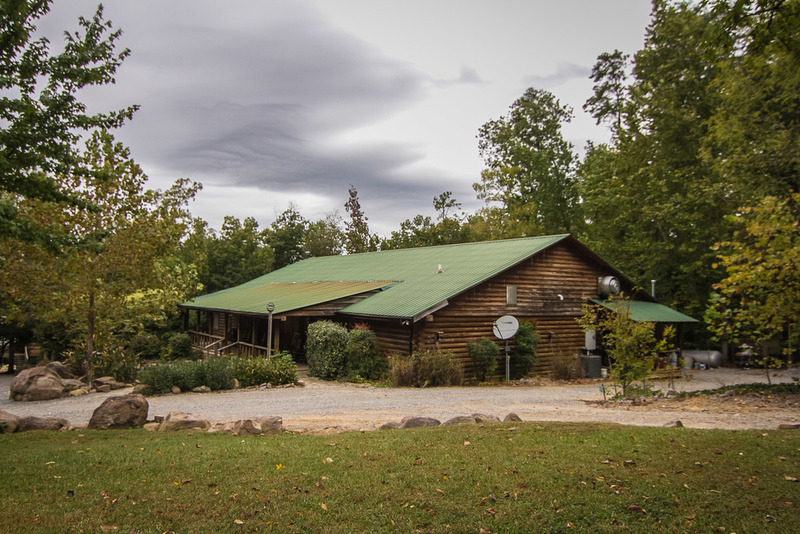 For weekend groups, volunteers or those with small families, the Horseman House is a delightful option with bigger beds, kitchenette, refrigerator and living room area. Located just beneath the chapel, this housing can accommodate 28 people. 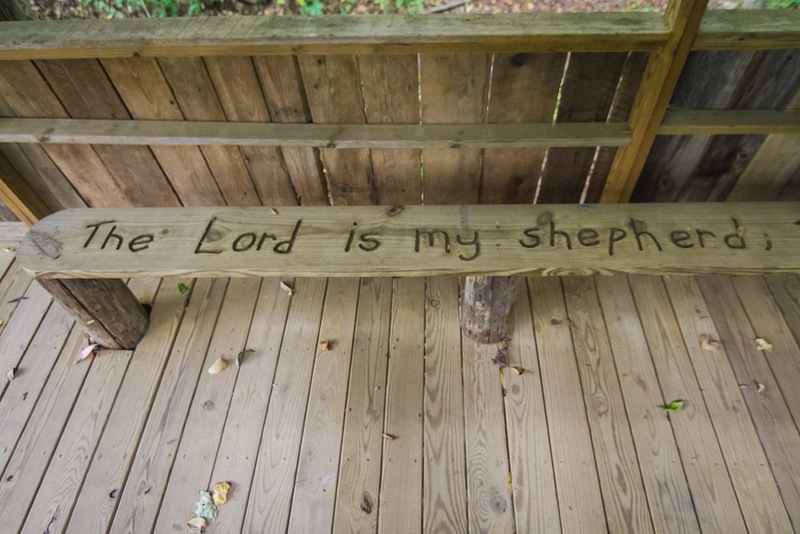 With all of our beds filled, the total sleeping capacity of Camp Living Stones is 150 people.